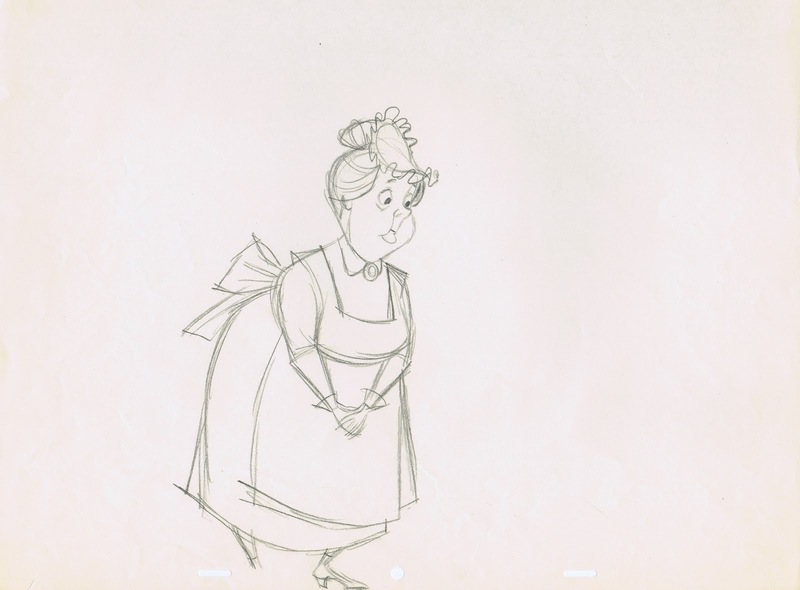 That is character actor Don Barkley, who provided live action reference for the character Nanny in Disney's 101 Dalmatians. He also acted out scenes with the Badun Jasper and the TV character Dirty Dawson. 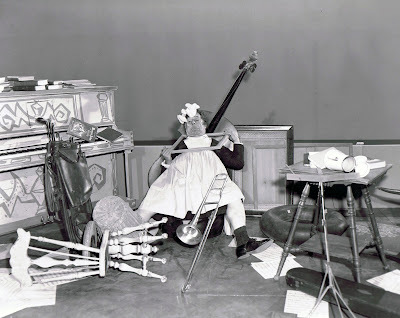 A performer with great range! 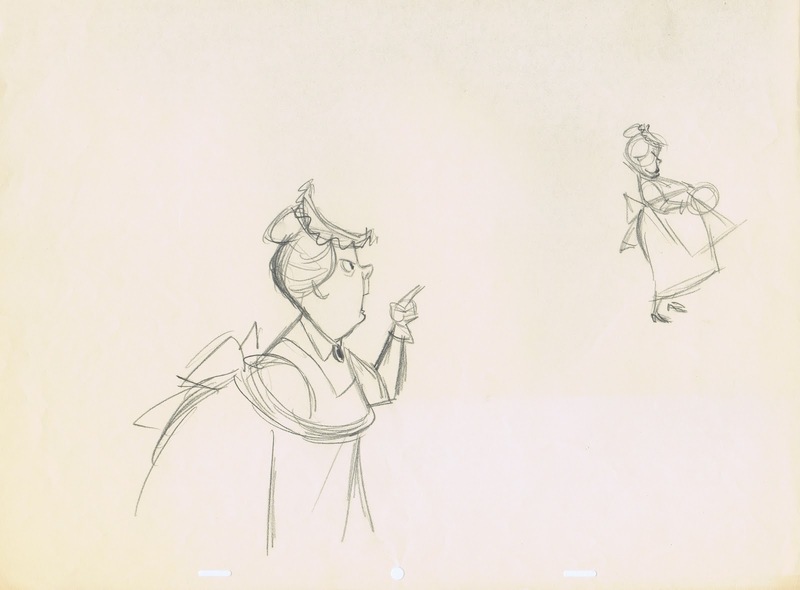 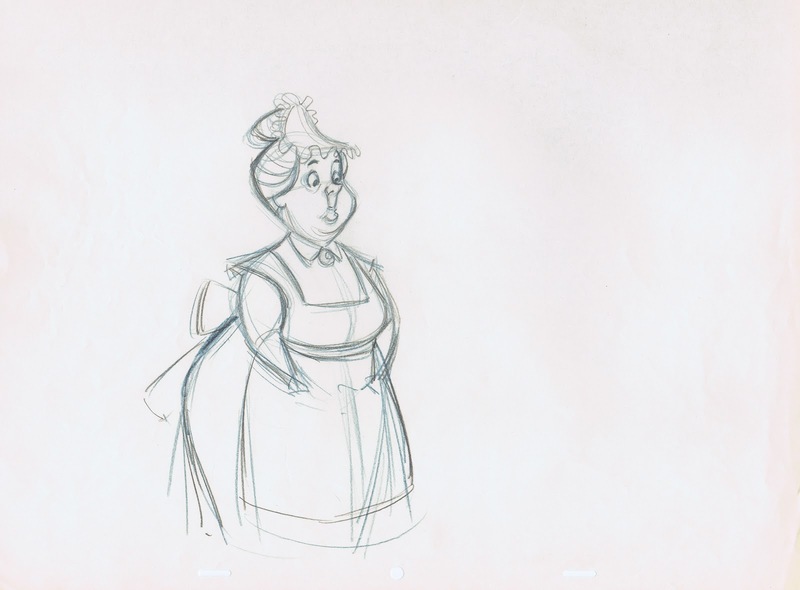 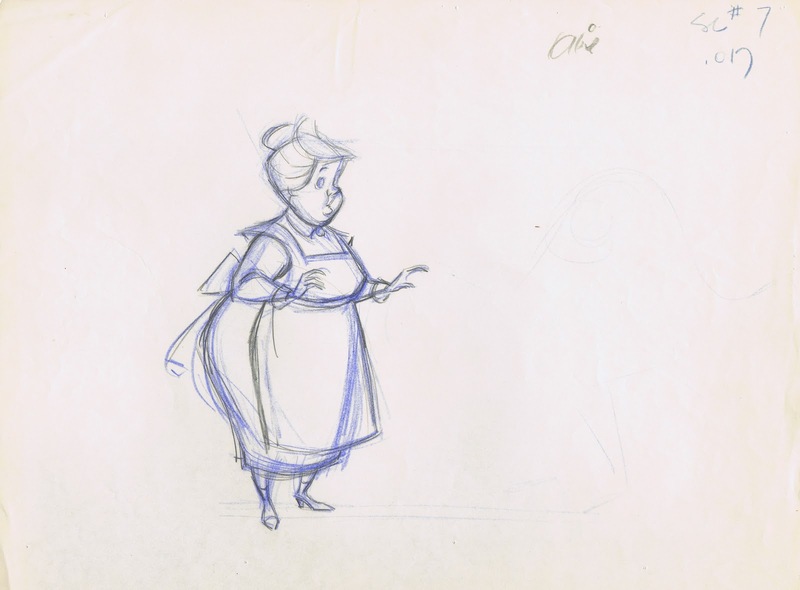 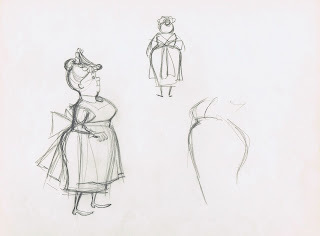 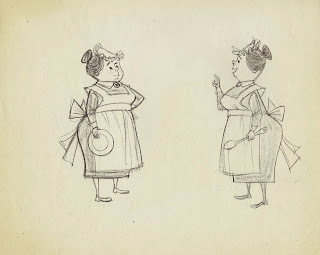 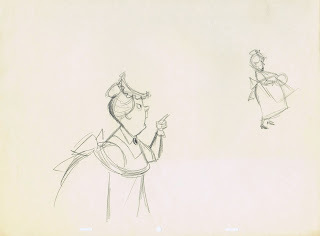 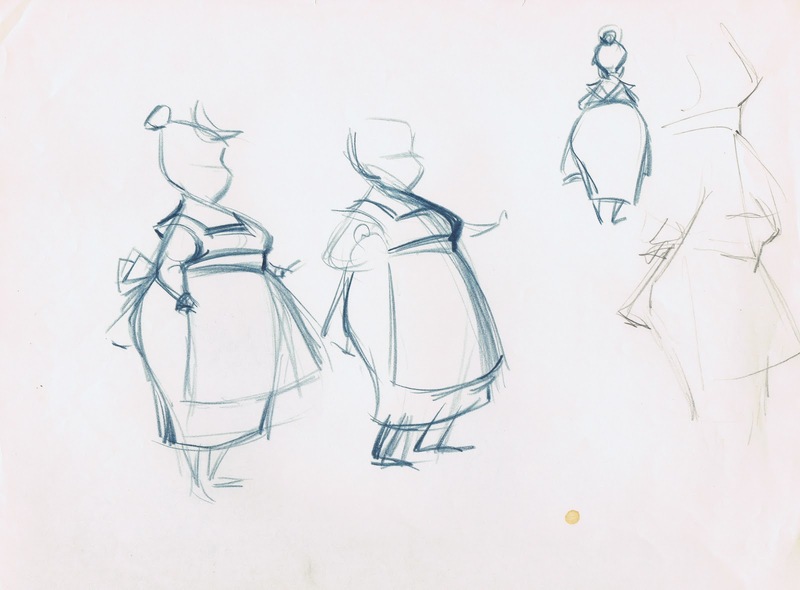 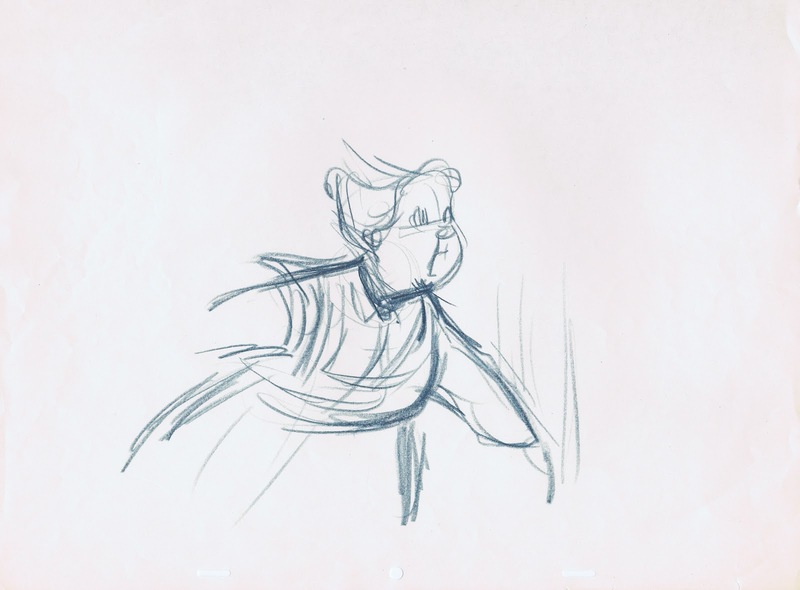 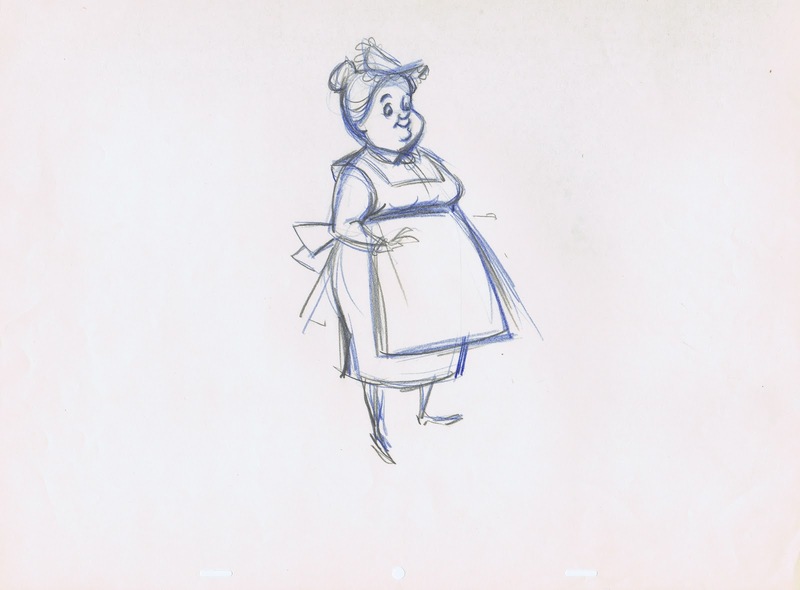 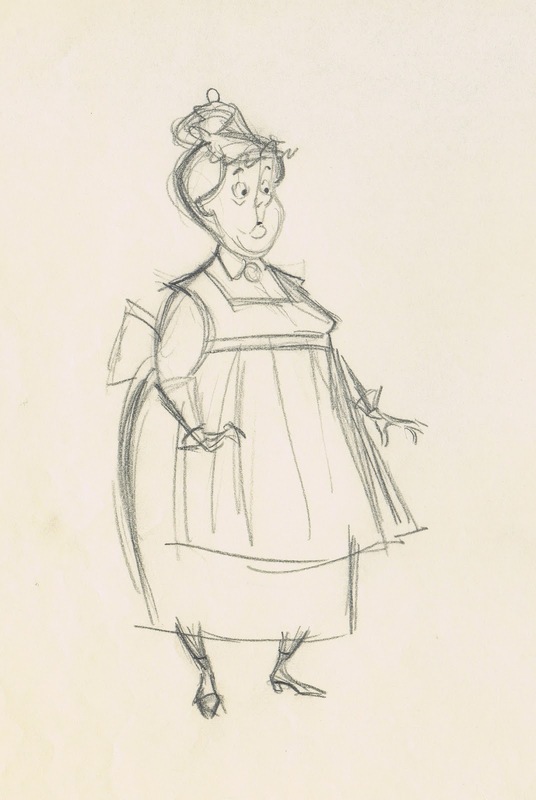 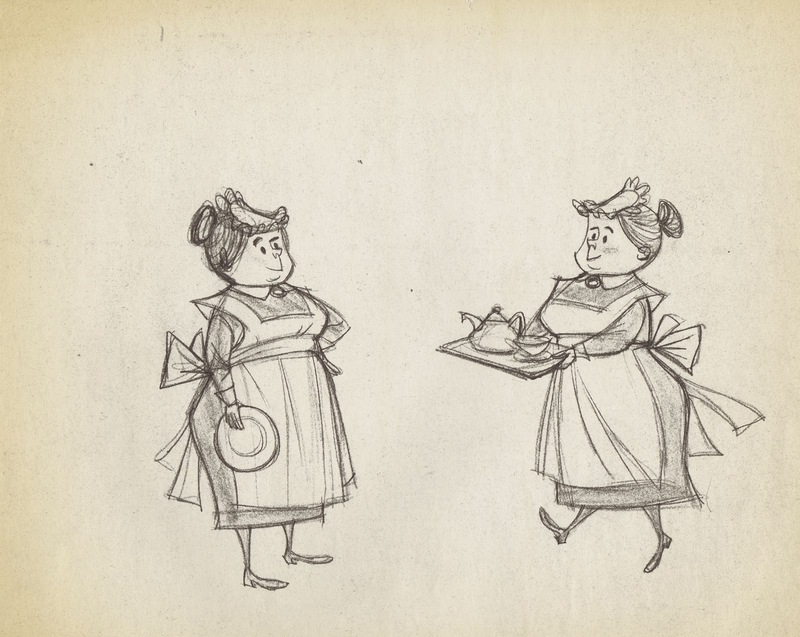 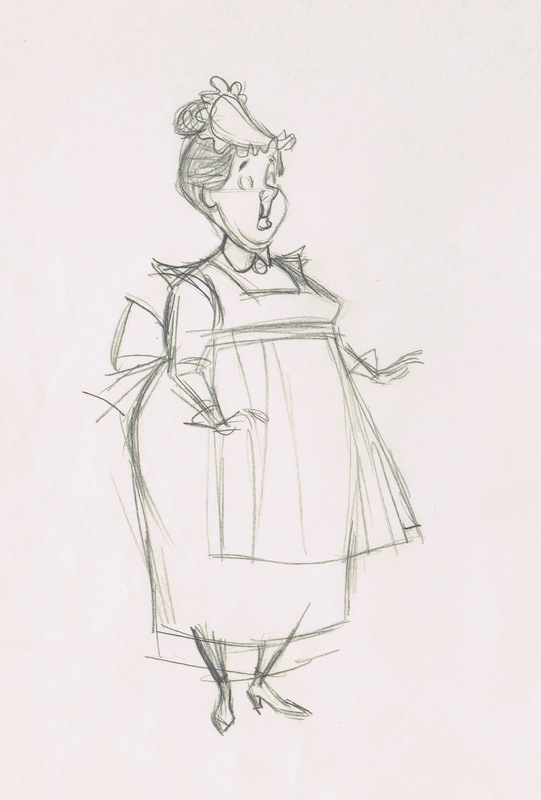 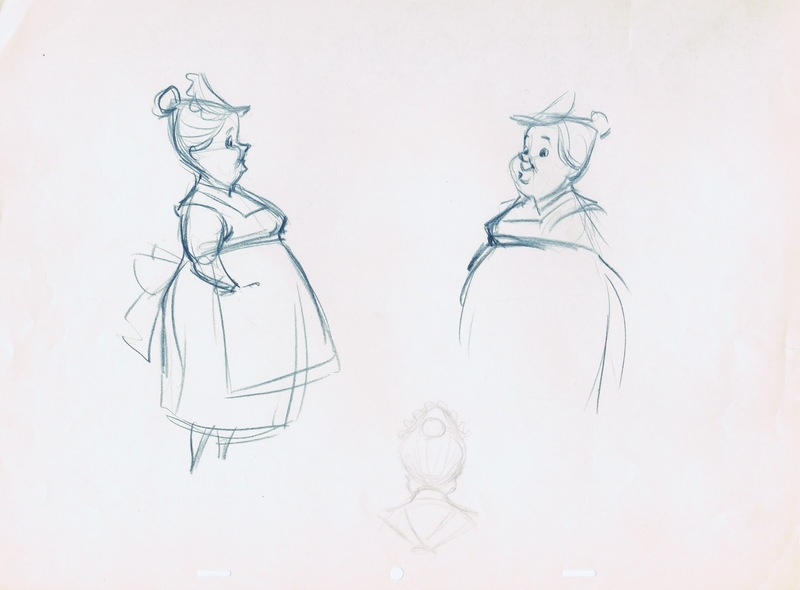 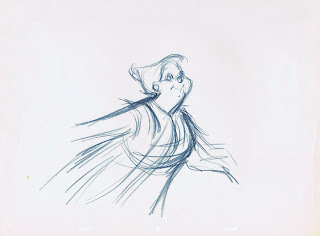 Nanny from Disney's 101 Dalmatians was primarily animated by Ollie Johnston, but there were a few other artists who had a hand in designing her appearance. 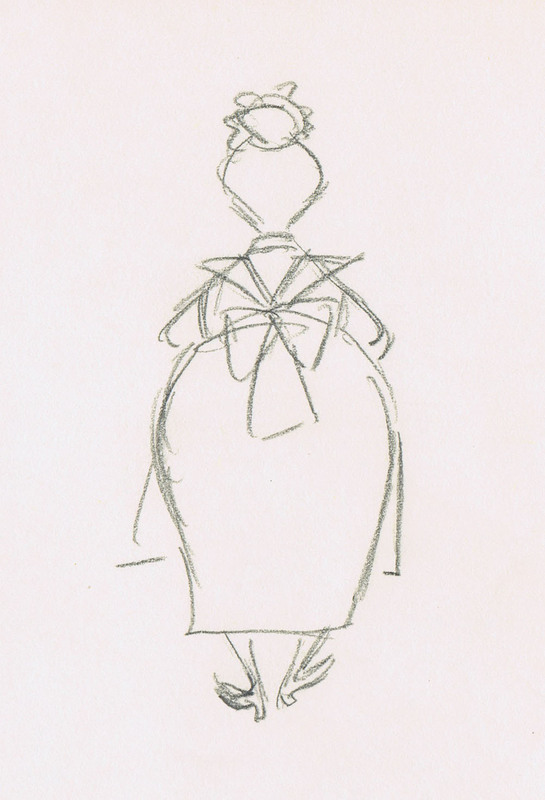 Based on Bill Peet's story sketches character stylist Tom Oreb came up with these wonderful designs. 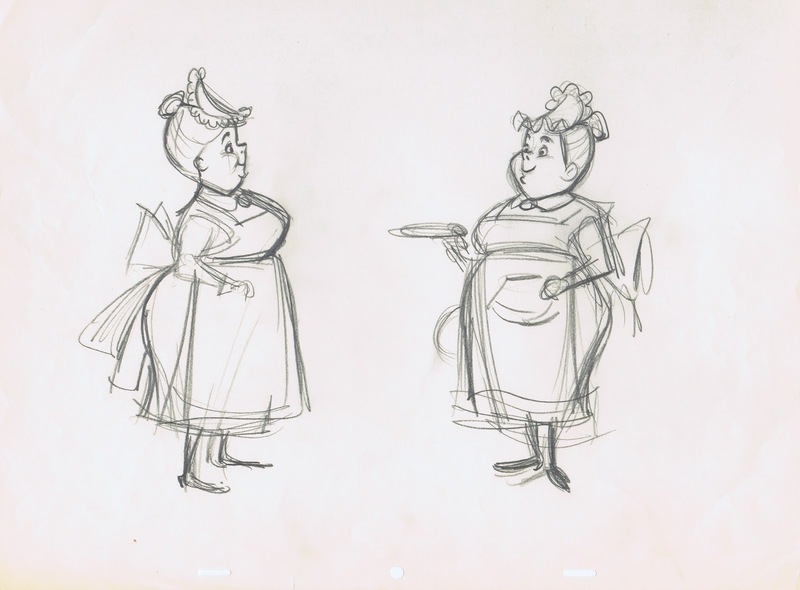 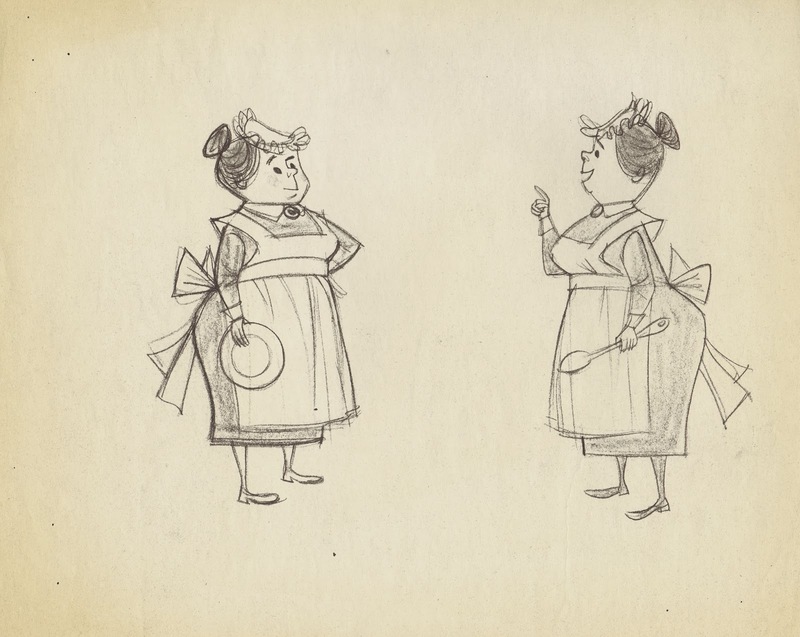 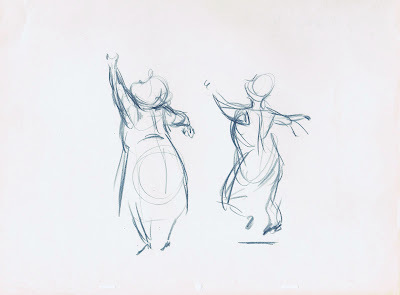 The animators pretty much kept the qualities in these drawings, except for her slightly elongated upper lip, which distinguishes her from the the Fairies in Sleeping Beauty. 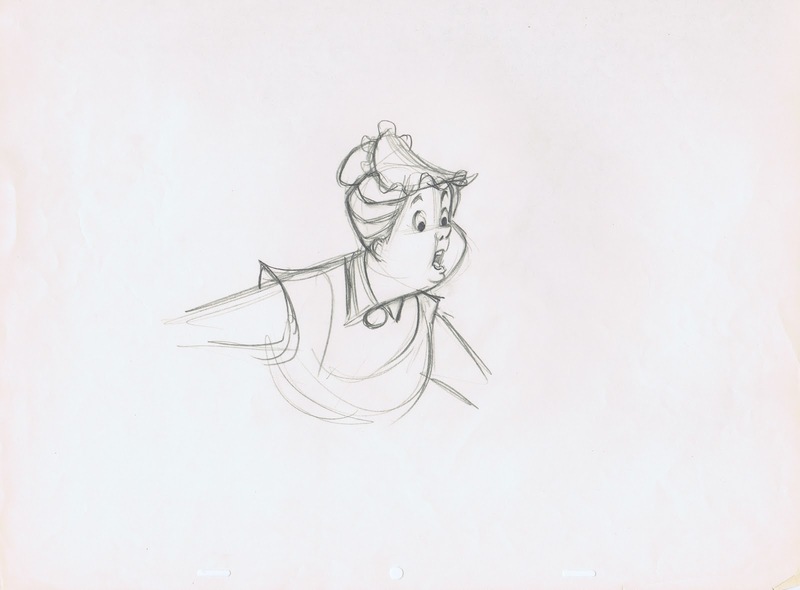 I would have preferred to see Oreb's mouth configuration in the animation. 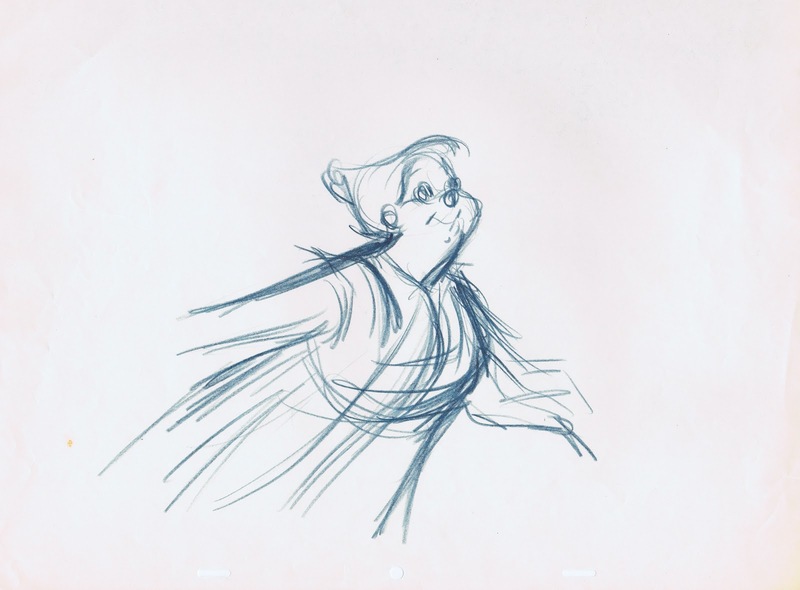 Milt Kahl pushed the proportions further and added realistic eyes. 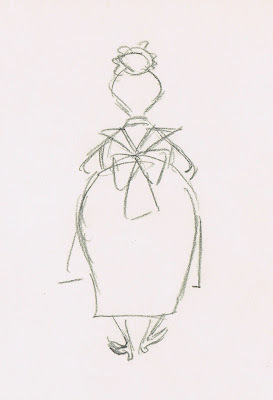 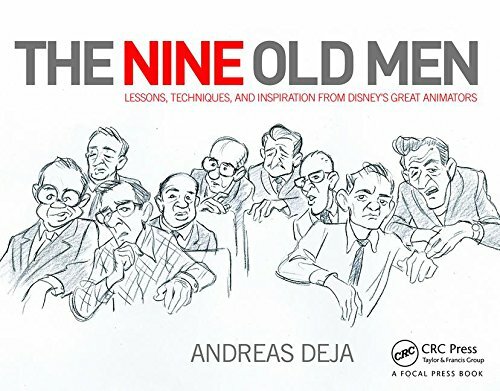 The shapes in his sketches are definitely inspired by Oreb, but Milt always had his own sense for graphic perfection. 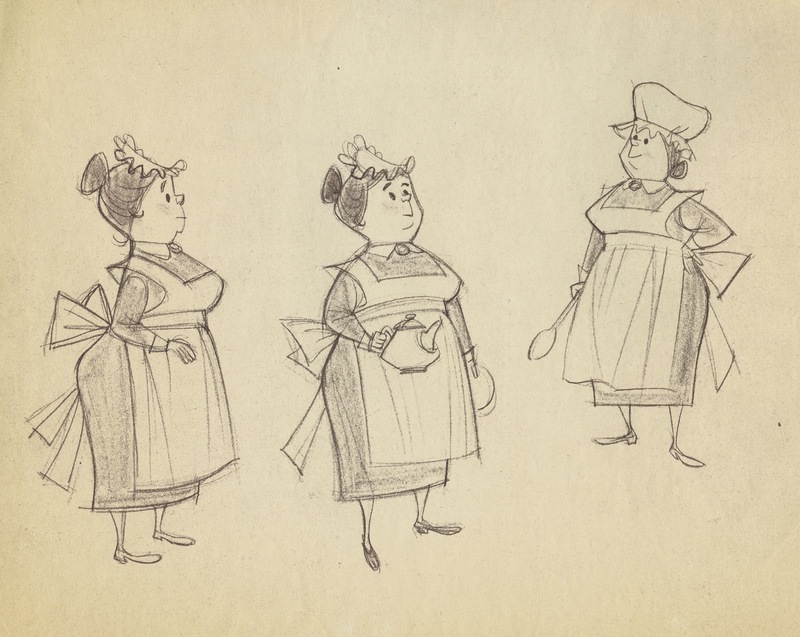 Ollie Johnston softened the design's angularity a little to the point where he would feel comfortable animating Nanny. 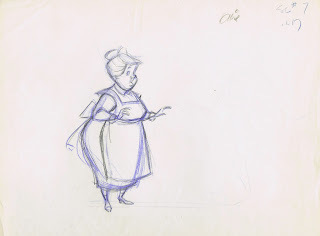 Ollie created a great walk for her. 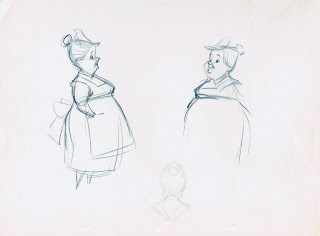 Frank Thomas explored a range of proportions. Here he is helping Ollie with motion analysis and staging. Nanny is a very sympathetic character, protecting those puppies means everything to her. 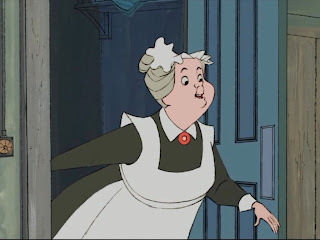 She could have been handled as a much more comic type, but her loyalty to the Radcliffs and her affection for the dogs make for a warm, motherly personality. On a different note, this is post #300 ! !